Traverse City pursues expensive power option. There’s Crazy – Then There Is Traverse City Michigan crazy. Once upon a time, Traverse City owned TCL&P (Traverse City Light & Power) produced electricity. (see picture at right) We had coal docks, a steam producing boiler, and turbines that were able to produce all of what was needed for Traverse City, and some surrounding area power needs. In the early eighties, TCL&P, contracted with the county to operate power generation from three dams that were deeded to Grand Traverse County a decade before by Consumers Power. It cost them nothing. In the 90s, TCL&P erected the region’s first windmill, while at the same time reducing output and planning complete decommission of its coal fired facility which (by the way) was located on the valuable public waterfront. Stories were plentiful about how the city was conscious of the environment, had to do their part, and how some folks would sign up for that ‘expensive’ energy which cost only 3 or four times the current rate. There were TCL&P customers who voluntarily paid for ‘green’ energy that came down the same transmission lines, even though it was the same electricity as the guy was getting next door for less. I suppose a byline in the local fish wrap was worth it? The windmill was frequently inoperable, was a safety concern, and ultimately locked down and considered for decommission a few years ago. A buyer was found, relieving the Traverse City owned power provider of it’s liability for about $1100. What many folks hadn’t realized is that TCL&P at the same time, was transferring all of its power generation needs to the big providers. It was becoming a electricity broker with maintenance trucks. A sweet contract allowed TCL&P to purchase power for about two decades from downstate at about $0.05/KWH. It resold the power to its customers (and owners) during that time at a few cents more per KWH and did quite well. The contracts allowed TCL&P to walk away from the dams they had been using at no cost, but required upgrades and significant repairs. The dam generators were used up. Kaput. Worn out. And when the last generator switch was pulled, the TC owned utility had about $35 million in the bank. That sweet deal no longer exists – unfortunately for ratepayers. Most of the above is from memory, but from research done during the times I fought City & County leadership when they were trying (proceeding) to remove the dams. I also discovered that when there was the possibility of a power generation concern buying the dam electrical generation license for the dams, the city and county administrator conspired to keep it away from the buyer for just-long-enough by reapplying for electrical generation authority (A FERC license) and then abandoning it when it could no longer be sought by the company that bought the generation equipment. This brings us to today. The heavy metals released during the first phases of dam removals seems to have worked its way into the Traverse City water supply. The power company which is no longer a power company will now be tasked with a mission so green, that ‘envy’ will be jealous. Because every electrical user in TC wants to triple their utility bills. Damn the torpedoes! Full steam ahead and ignore those legal woes fellow captains! You can spend your own money on yourself. You can spend your own money on someone else. Your can spend someone else’s money on you. And you can spend someone else’s money on someone else. When you spend your money on yourself, you care about how much you spend and the quality of goods purchased. When spending you money on someone else, you care about the cost but not as much about the quality. If you spend someone else’s money on you, you care less about the cost but you still care about the quality. And, finally, when you spend someone else’s money on someone else, you have the weakest incentives to care about both the amount you spend and the quality of what you’re purchasing. All government spending is the fourth kind – spending someone else’s money on someone else. Which explain why government so often spends a great deal for very little of value. Clearly, TCL&P responding to the leadership of the City Commission falls into the fourth category. And somehow, I am not sure that we have yet reached the conclusion of such value driven brilliance. And speaking of “Driven,” perhaps electric car users might find a full service parking lot in a different place. There's a reason I call that Michael Moore infested region you reside in, Ann Arbor North. As the silver-ponytailed Boomers and their Millennial spawn migrate their way North, relax and enjoy the decline. So, it's even worse Jason than you stated. TC can only make the facilities it owns Green. Unfortunately for them, the Government center, which houses it's city offices, is owned by the county, thus, they cannot regulate something which they do not own (fortunate for us) . This lesson was brought up with the transgender bathrooms--they did not own the building, therefor could not regulate it with their garbage issue. TCL&P is moving forward with a city-wide fiber-optic, internet system, at the same time AT&T is putting in 5G all over the country also at our expense. I was the lone dissent on this issue--even advising that the numerous utility companies which tried the same thing failed. They are clueless as to what it takes to demand every house in Traverse City have this hook-up, at a time when everyone carries around the internet in their pockets and dumping the cable connections (and these FACTS were stated) Nonetheless, they were quite happy with themselves providing " free" internet downtown paid for by the DDA with our TIF TAXES as proof. And, of course, they're putting in smart meters this year (Isn't that internet connection to every house?) Lastly, the figure they were throwing around as spare cash, was that $35 Million. Out utility companies are being weaponized. Dumb just gets dumber. in the sale of renewable energy which is a per se violation of the Sherman and Clayton antitrust laws. Who will be the first to ask the Attorney General why he hasn't challenged the law on behalf of Michigan's power consumers? Who will be the first to ask up North state legislators why they haven't introduced legislation to repeal the mandate and allow out of state renewable energy to be credited under the standard? They know the public cannot directly challenge the law because of Federal Standing issues. So they have become the "serfs" of Michigan's power oligopoly. Just saying folks! One more thing. 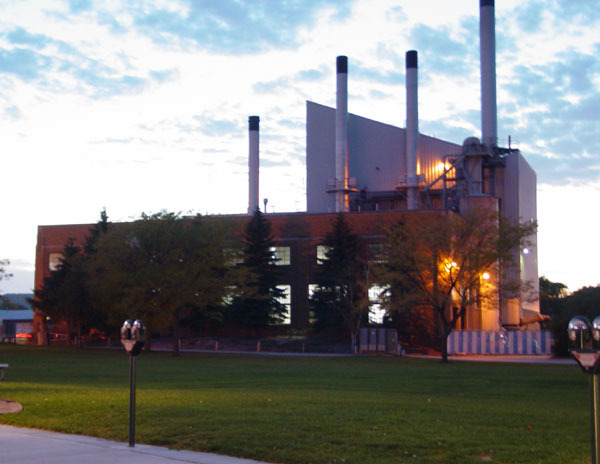 Local purchasers and suppliers of renewable energy, such as the cooperatives (Cherry Land Electric), who do have standing to challenge the law are silent co-conspirators in Michigan's renewable energy oligopoly. By the way the mandated use of renewable energy in Michigan was legislated to reduce the amount of carbon dioxide emissions within the state for health reasons. What empirical studies have been completed within the past 10 years to prove that the use of renewable energy in Michigan has in fact reduced carbon dioxide emissions and by how much. Have the health issues falsely attributed to carbon dioxide been diminished? Where is the evidence? Just asking folks?